Daily Jim Rohn quotes and words, seminars, books, videos ... and all Jim Rohn legacy. 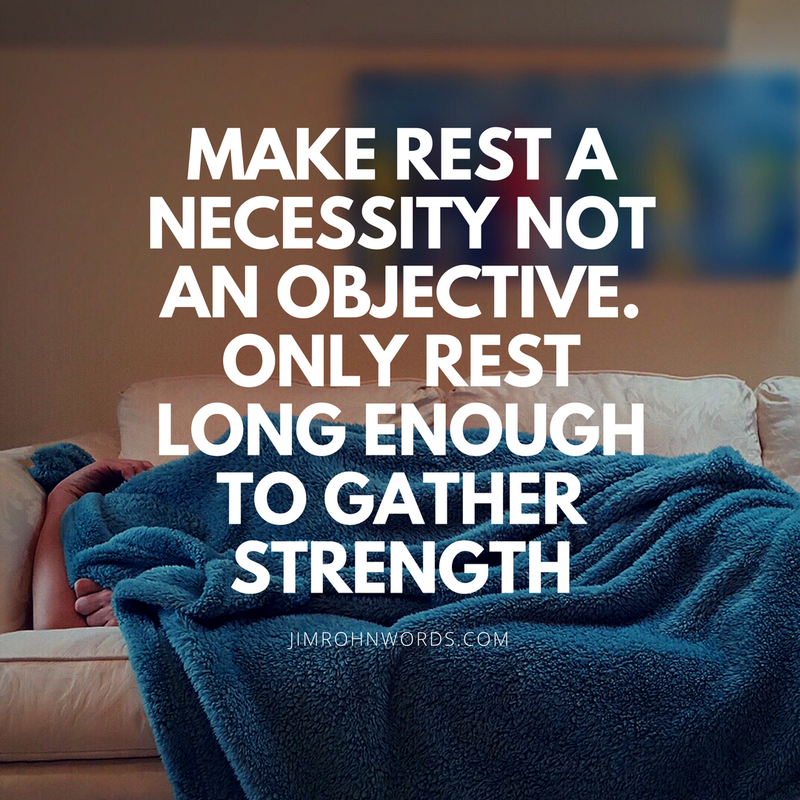 Make rest a necessity, not an objective. Only rest long enough to gather strength.